In September 2015, Anne hosted the series premiere of Food Network’s Worst Cooks in America: Celebrity Edition, where she mentored a team of celebrities who were in serious need of some cooking pointers. The second season of Worst Cooks in America: Celebrity Edition premiered in September 2016 and the third season premiered in August 2017. In addition, Anne hosts Worst Cooks in America, a prime-time reality show where she leads a team of hopeless home cooks from around the country through culinary boot camp. The ninth season premiered in January 2017. Chef Wanted’s third season premiered in August 2013 where Anne put top-notch chefs through the ultimate job interview as they strived to land the Executive Chef position in restaurants around the country. In her Food Network series, Secrets of a Restaurant Chef, she eliminated the intimidation of restaurant dishes and revealed concise, easy-to-master techniques for the at-home cook. Anne also starred in her own right on Next Iron Chef: Super Chefs in Fall 2011. Anne published her first cookbook, “Cook Like a Rock Star,” in 2011, which gives home cooks the confidence and support to be rock stars in their own kitchens. 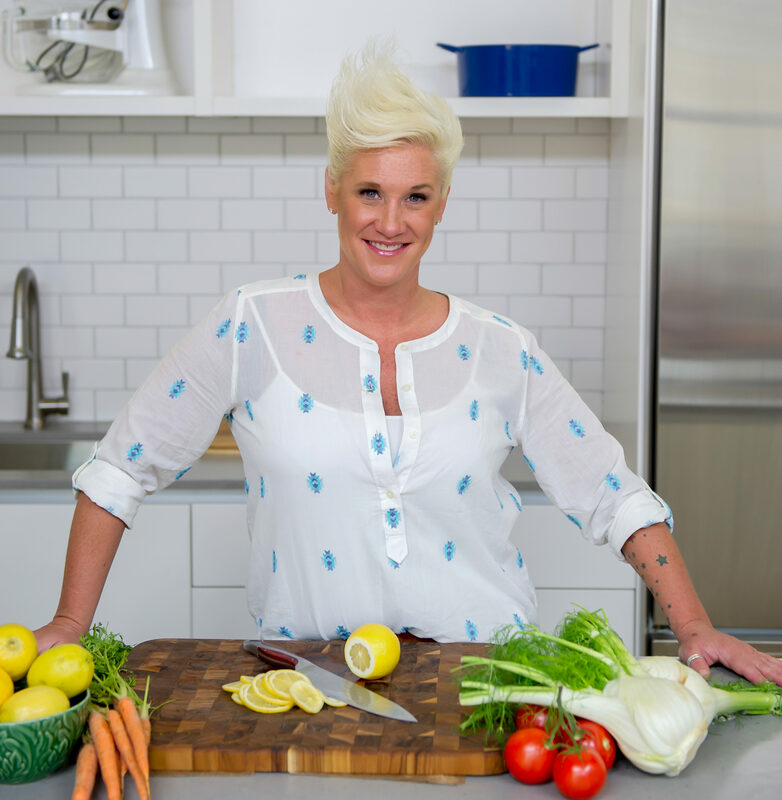 Her cookbook earned a place on The New York Times Bestseller List. Anne’s second book, “Own Your Kitchen: Recipes to Inspire and Empower” was released in October 2013. Anne took the opportunity to spread her culinary knowledge and passion as a teacher at the Institute of Culinary Education. Shortly after, she joined the Batali-Bastianich empire by accepting a job at Italian Wine Merchants. The job also included salumi production and traveling to off-site events with Mario Batali. When Mario became one of Food Network’s esteemed Iron Chefs, he knew exactly who to enlist as his sous chef: the talented and dynamic Anne Burrell. As the executive chef at New York hot spot Centro Vinoteca from its opening in July 2007 through September 2008, Anne served up her “creative-authentic” Italian menu of small plates (piccolini), antipasti, pastas and main courses accented by her trademark bold, pure flavors.